Aged Ruth Riley, who took half an hour to ascend the stairs on her hands and knees after becoming to infirm to walk, had been informed by her council that while they would pay the lion’s share she would have to scrape together the rest – money she could ill afford. Thankfully, Mrs Riley’s plight shocked and appalled hospital worker Rachel Shannon after visiting her to drop off medication, so much so she set up a fundraising page to pay for the essential equipment. As part of her job, Rachel delivers medication for two Lancashire hospitals – Royal Preston Hospital and Chorley and South Ribble District General Hospital – and it was while carrying out this service she became aware of Mrs Riley’s plight. 88 year old Ruth Riley from Walton Le Dale, Lancashire, who was told by council she would have to pay £2,000 towards stairlift at home – despite being so ill she had to CRAWL up her stairs. Pictured with pharmacy worker Rachel Shannon who helped raise money for her lift. She goes on to describe the day she visited her South Ribble home. “I knocked on the door but there was no answer,” she said. ”I could see the television was on so I knew she was in so I shouted to her. ”I heard her shouting back and she was crying in pain from an injection she’d had the day before. 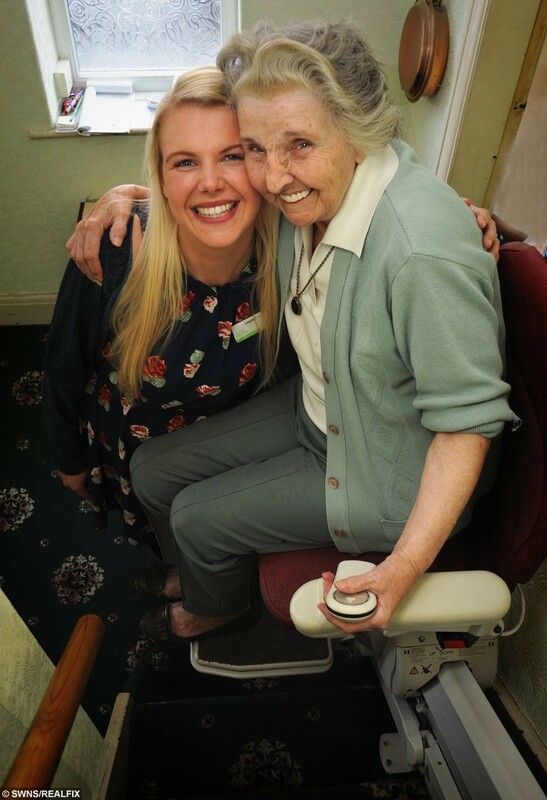 After finding out that Mrs Riley didn’t qualify for enough funding to get a lift in her home, and couldn’t afford to install one herself, Rachel started a campaign to raise the money needed. 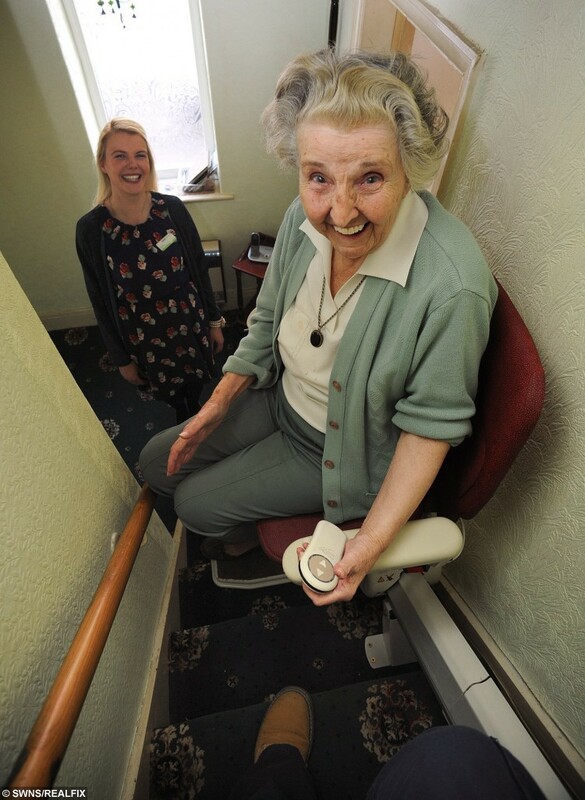 Lancashire County Council had quoted a cost in the region of £2,500 for a stairlift, but by shopping around Rachel was able to find one much cheaper. “The money is in a JustGiving account,” said Rachel. 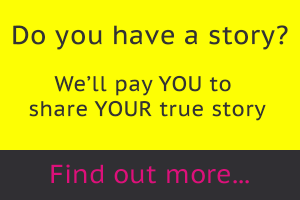 ”It has to run for a month before the money can be accessed so it was really good of the company to install it and accept the payment a month later. Councillor Michael Green, South Ribble Borough Council’s Cabinet Member for Housing and Healthy Communities, said: “Lancashire County Council runs the contract to provide stairlifts and heavy lifting equipment across South Ribble. “They generate a quote detailing the costs of work, which also includes lifetime maintenance and a 24-hour call-out service. “The Disabled Facilities Grants that can be offered by South Ribble Council to help towards these costs are means tested. “The same method of calculations is set by the Government and is used right across the country. “We have been in regular contact with Mrs Riley and her family since March 2015 and an offer of a grant was made to her, but we were recently advised they no longer wanted to proceed with their application. 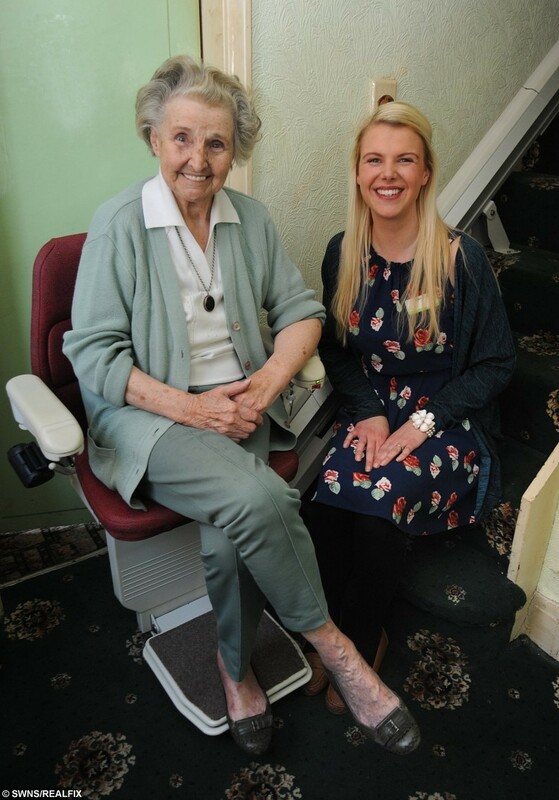 Lancashire County Council got the quote for the stairlift and a spokesman said: “When people with social care needs contact us for support, we work with partner organisations to find the best solution that helps them to live as independently as possible in their own home.